Gold and silver have been getting crushed recently along with emerging market stocks. Gold’s daily RSI (a contrarian indicator) is the most oversold its been since late-2016. 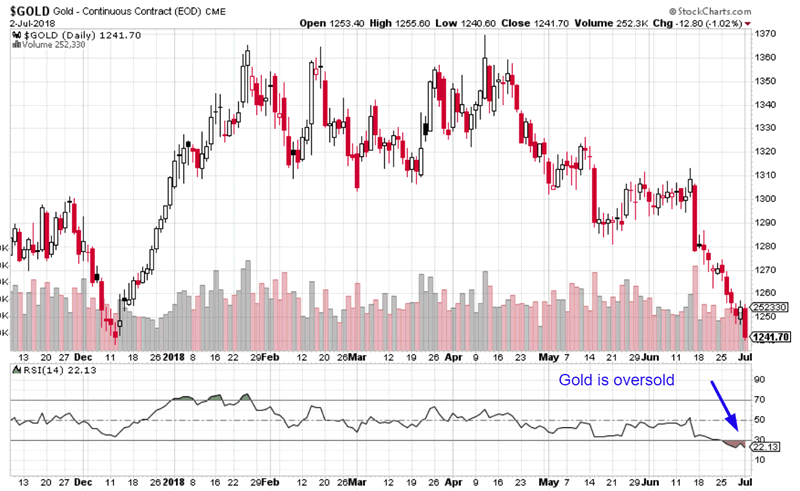 RSI is a relatively useful short term indicator for gold. 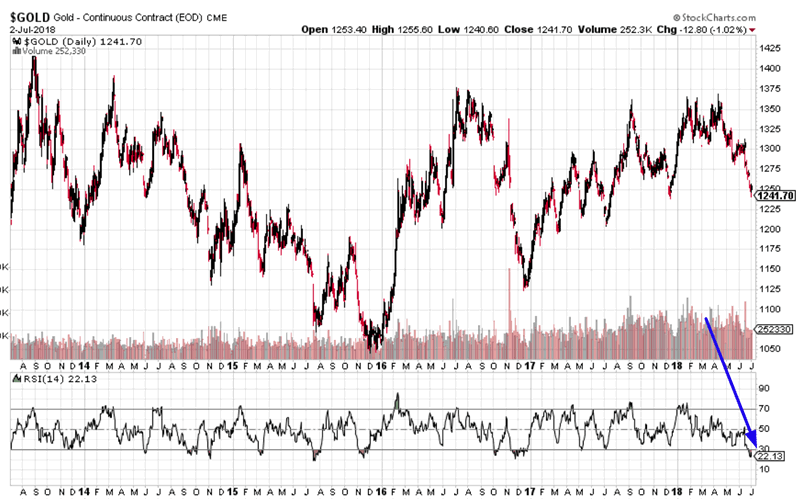 Golds tends to make a short term bounce when it gets as oversold as it is right now. 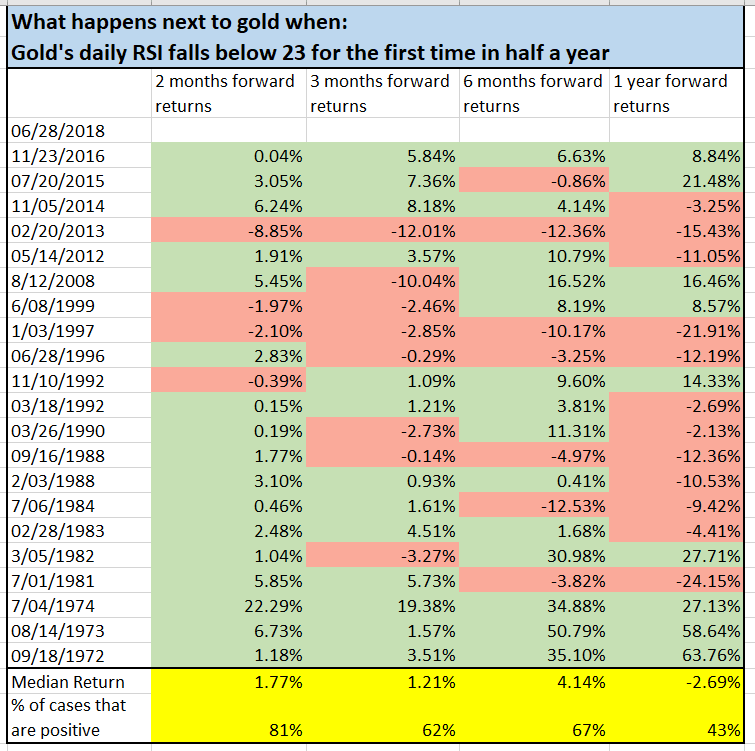 Here’s what happens next to gold when its daily RSI falls below 23 for the first time in 6 months (such as right now). As you can see, gold tends to bounce in the short term (next 2 months) when its RSI gets as low as it is now. Hence, this study suggests that gold’s short term outlook right now is bullish. Gold’s seasonality also turns bullish starting in July.